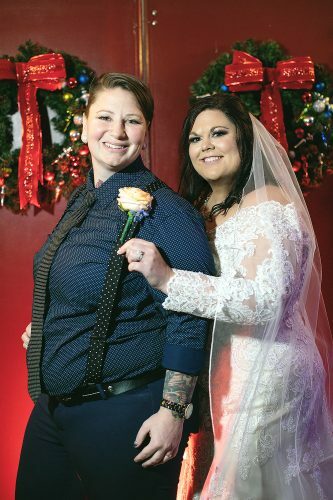 MINGO JUNCTION – Megan Leigh Pierce and Shawn Alan Hall were united in marriage on Dec. 21 at the First United Presbyterian Church of Mingo Junction, with the Rev. Bill N. Lawrence of Two Ridges Presbyterian Church officiating. 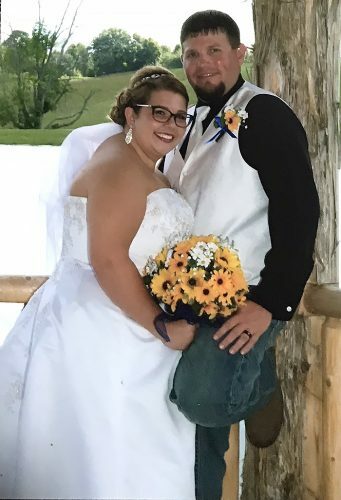 The bride is the daughter of Terri and Randal Pierce of Mingo Junction. The groom is the son of Barbara and Alan Hall of Steubenville. The bride was escorted to the altar by her father. She wore a strapless tulle A-line gown with beaded appliques and carried a bouquet of white roses. 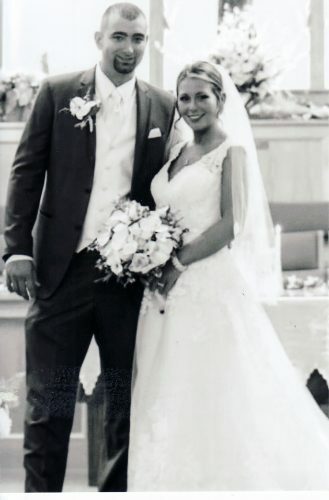 Chelsie Pesta of Steubenville served as the maid of honor. Bridesmaids included Lindsay Ward of Wintersville and Samantha Hall of Morgantown, cousin of the groom. The best man was Bradley Jeffries of Mingo Junction. Groomsmen included Mason Pierce of Mingo Junction, brother of the bride; Matthew Hall of Marietta, cousin of the groom; and Daniel Pierce and Randal Pierce of Mingo Junction, brothers of the bride. The flower girl was EmmaRose McEndree, cousin of the bride. The ring bearer was Madalyn McEndree, cousin of the bride. 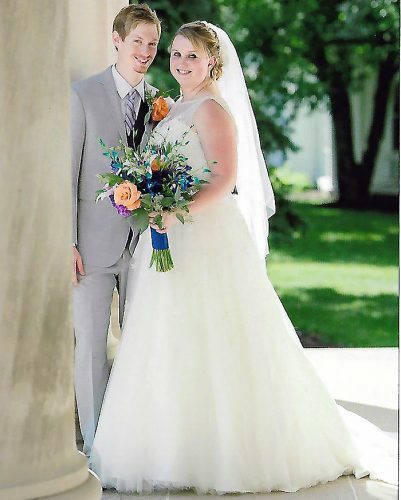 Following a reception at the Mingo Knights of Columbus, the couple honeymooned at Nemacolin Woodlands and Pittsburgh. 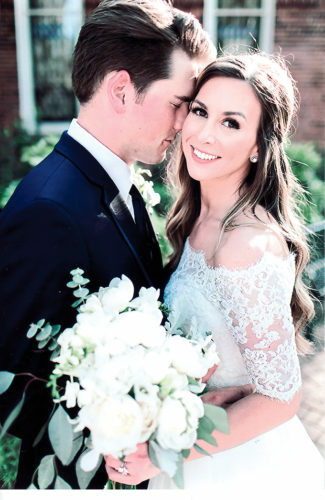 The bride is a 2008 graduate of Indian Creek High School and completed a bachelor of science degree in human ecology at the Ohio State University. She is completing an M.Ed. in special education and BCBA certification at Texas A&M University. The groom is a 2007 graduate of Indian Creek High School and completed a bachelor’s of science and master’s degree in electrical and computer engineering at Ohio State University. He is employed by BP America in the high performance computing department as a systems analyst. They reside in Houston, Texas.